The famous Star Adventurer becomes MINI! In just 650g in weight, the Mini Star Adventurer is a super compact and lightweight tool, ideal to be easily transported. The load capacity of 3 kg makes it ideal as a support for cameras with big photo lenses and compatible even with small telescopes. 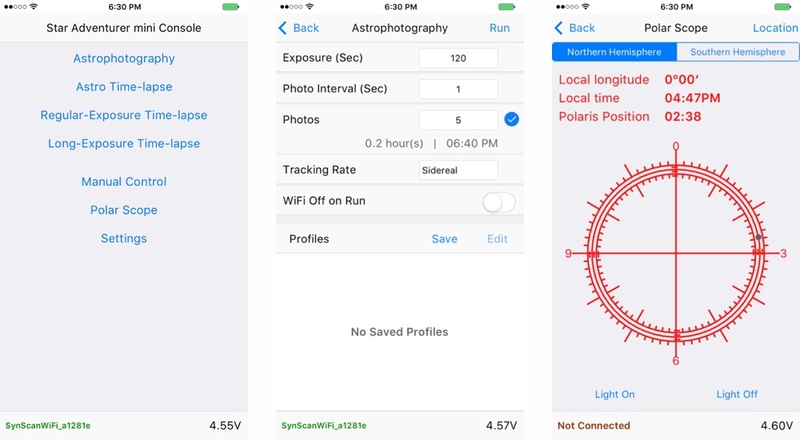 Through special free app available on Google Play and App Store, the Mini Star Adventurer is entirely controllable and configurable for astrophotography or time-lapse photography using a WiFi connection. The Mini Star Adventurer is a star tracker even more compact and lighter than the previous version, which allows you to record spectacular wide field pictures of the sky in an incredibly fast and easy way. 3 years warranty! The Mini Star Adventurer is the most compact star tracker on the market, cheap and easy to use that allows you to make wide field astrophotography in an easy and fast way. Thanks to the polar scope supplied as standard, the high-precision motor and optional wedge, you can make beautiful pictures of the night sky with your DSLR camera equipped with the normal camera lens. Thanks to the WiFi connection, you can control it from your smartphone or tablet. 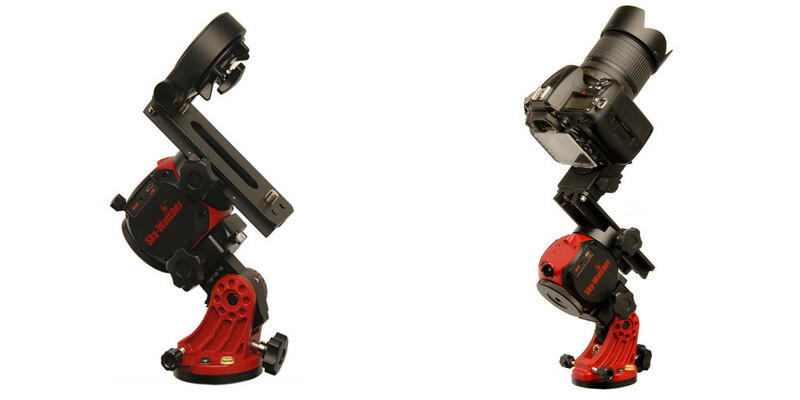 The Mini Star Adventurer is perfect for those who want to start astroimaging and have a DSLR camera. Install it on a photographic tripod, place your camera, align it on the North Star with the included polar scope (we suggest the use of the optional Star Adventurer wedge) and point the desired area of ​​the sky: start the automatic tracking to expose many minutes. You will get fantastic pictures with an unbeatable ease of use! 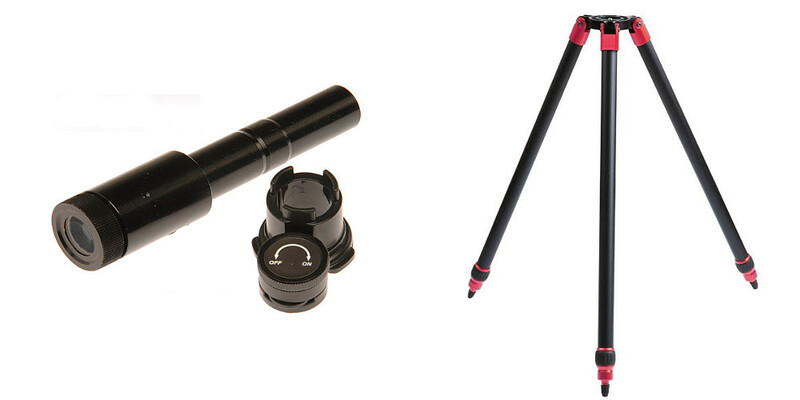 The Mini Star Adventurer can be connected to the optional photographic tripod or any other model simply through its 1/4 "or 3/8" adapters. For optimum tracking of the stars in the sky you need to align it to the North Star with the included polar scope. This procedure can be performed using the head of the photographic tripod or better, with optional wedge that allows you to adjust the polar alignment with greater precision. In order to connect a DSLR camera, you can use a camera ball head or use the optional L-bracket for the Mini Star Adventurer. The L-shaped bracket also allows you to simultaneously install two camera at once (using two ball heads not included). Compact and easy to transport, the Mini Star Adventurer is the perfect travel instrument. You can add it in a rigid case and transport it safely. Thanks to battery power, you do not need an external power supply to use it. 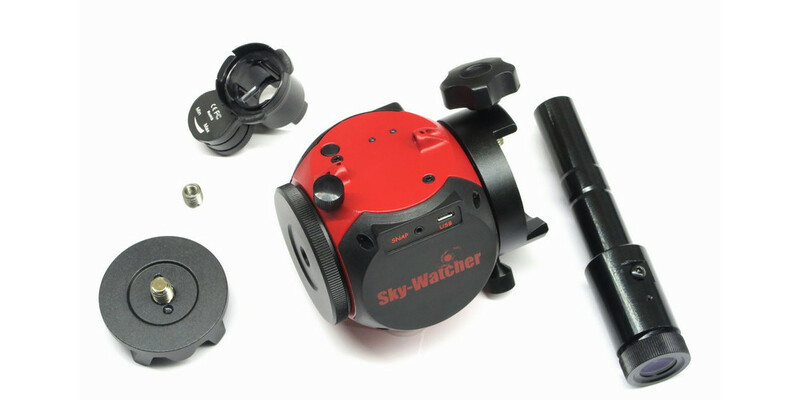 The Mini Star Adventurer can be easily used to record beautiful time-lapse videos, in fact it allows various configurations to meet all your needs for wide field astrophotography or for time-lapse. It has 3 different tracking speeds: sidereal, lunar and solar.